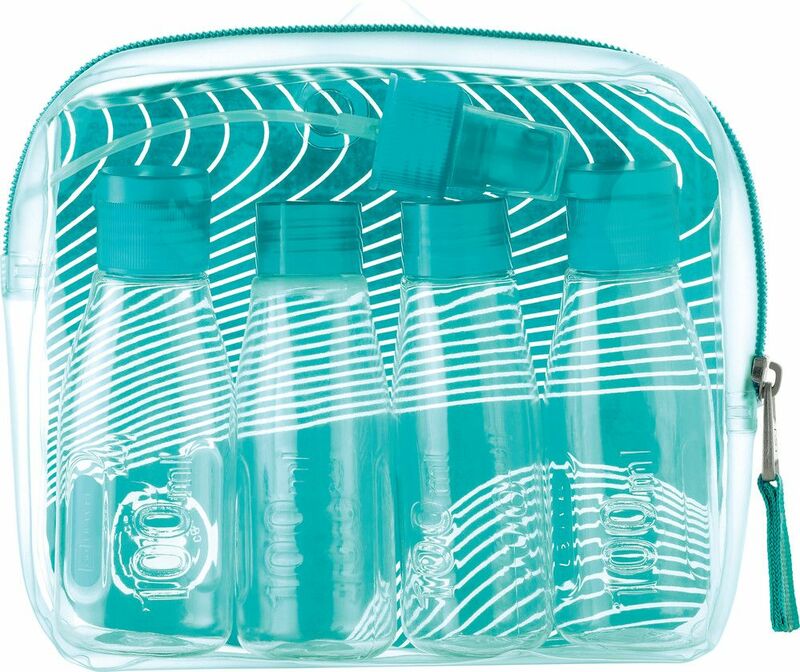 Decant your favourite toiletries in seconds with this 4 piece, cabin approved Travel Bottle Set. 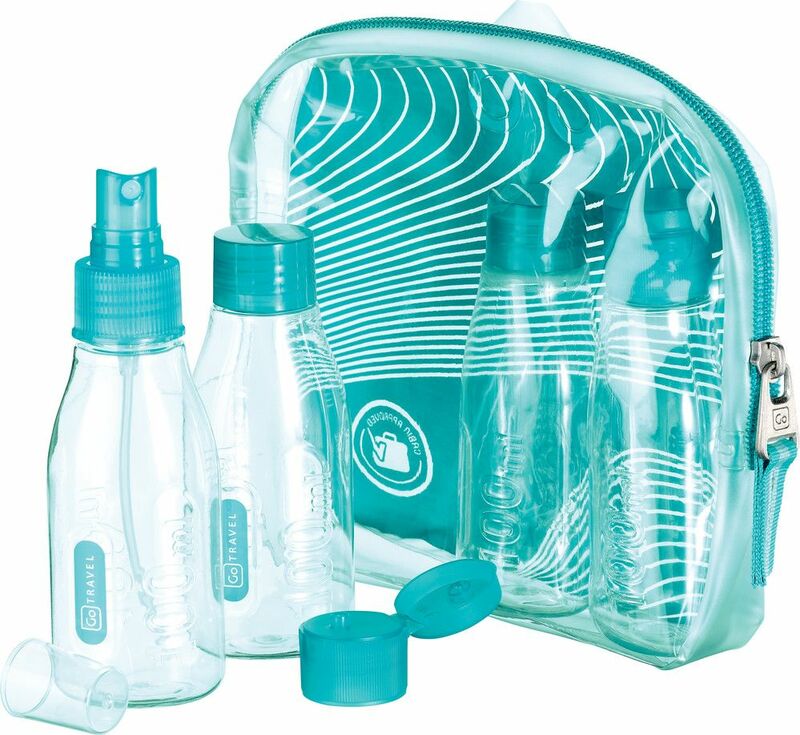 Ideal for gel, lotion, paste and other liquids, these clear 100ml travel bottles and handy transparent carry pouch comply with airport regulations for total peace of mind. 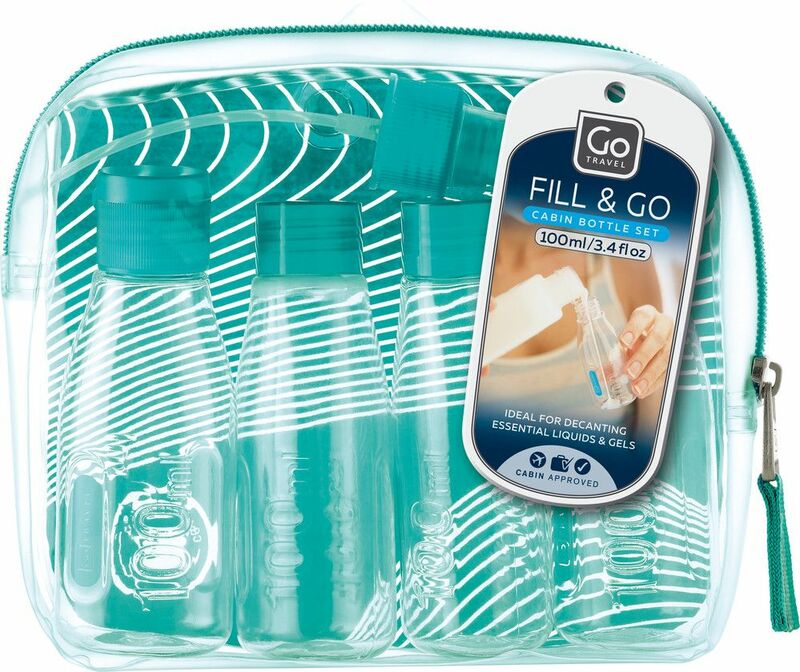 With a wide aperture for spill-free filling, the travel bottles come with 2 screw caps, 2 flip-top caps and a handy pump action spray atomiser.